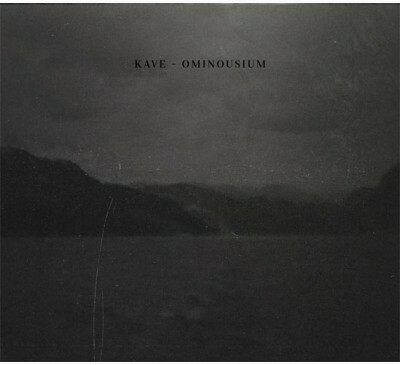 Kave is the dark ambient work of The Netherland’s Bram Gollin, who may have been influenced by Robert Rich. On this release, Gollin explores oppressive soundscapes with synthesized waves overlaying crackling undercurrents. The modus operandi herein seems to involve pairs of oscillating drones, each disturbed or jittered to some extent, combined with additional background layers and effects. It isn’t until the fifth track, The Tribes of Nyx, that found object percussion, crashes, and horn-like sounds are interspersed with Gollin’s more spacious approach. Ominousium ends strong, with the final track featuring ebbing and flowing swells of sound, evoking a fast-moving geological process. This is haunting music, no doubt – a soundtrack to a distressful dream – and comes highly recommended to those who prefer a nihilistic dissonance in their late-evening drink.